No project is too big or too small. Whether it's incorporating mini-blinds in a new office renovation in Syracuse, or installing solar shades for a chain of food service outlets across Upstate New York, A Shade Different will provide you with the same reliable service. For contractors, the experience and expertise offered by A Shade Different is a value-added service. We will work with you, to select high-quality custom blinds or shades that add visual impact to your construction project. We will accommodate your construction schedule with on-time delivery and expert installation of all products. Contractor pricing lets you manage the project profitably. Or, if your project simply requires installation services, we will be happy to handle it quickly, and professionally. Solar screens are a great way to let in just enough light or sunshine. 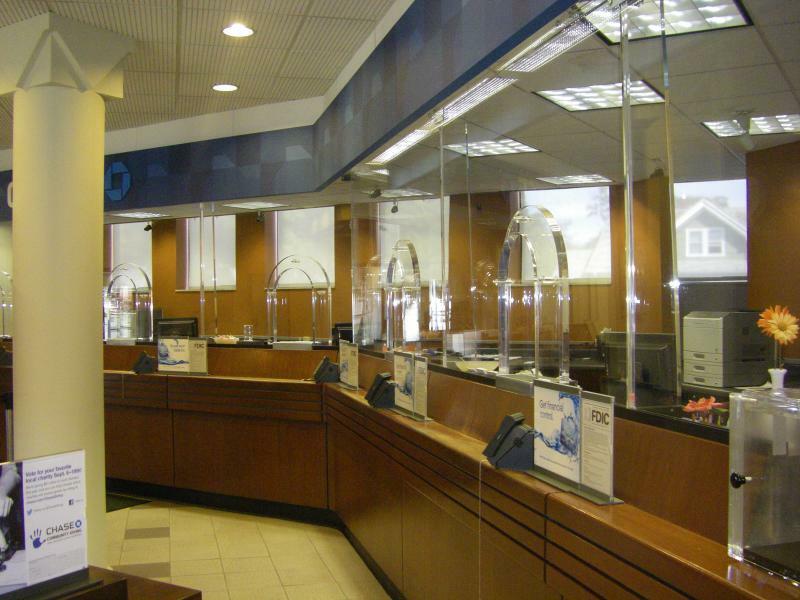 A Shade Different recently completed an installation of solar screens at a branch of Chase Bank. 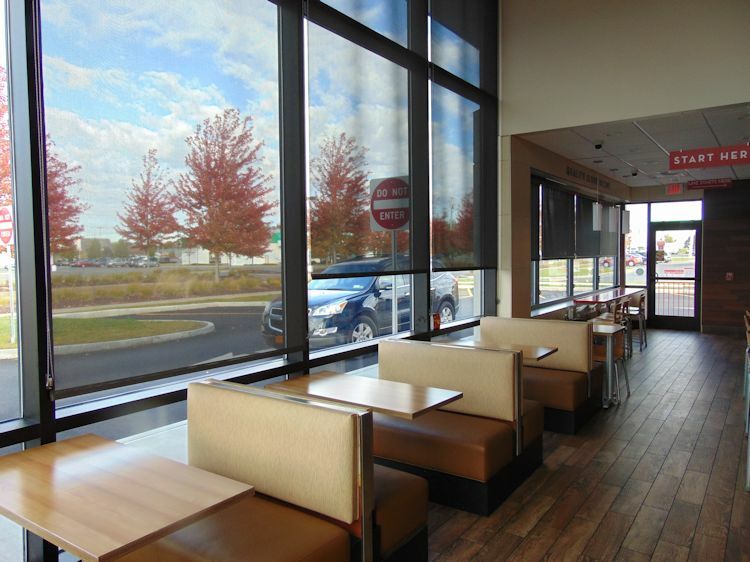 A growing fast food chain selected A Shade Differentfor installation of large solar screens at nearly a dozen locations in Upstate New York. Let us help you with your next commercial blinds or shades installation project. We're fast, reliable, and the job will be done right! Small office? Big office? Many locations? Or just one? We've handled projects for all sizes of businesses, and all types of blinds and shades. Let us be your blinds and shades experts!